This article was featured in the Kosmos Journal (Spring/Summer 2014). In February, 55 bookstores with names like Oblong, Whale of a Tale, Innisfree, Odyssey, Yellow Brick Road and Wild Rumpus each received grants of between $2,000 and $15,000 from bestselling author James Patterson. This was the first round of a million dollars in grants to independent bookstores from Patterson, earmarked for a wide variety of projects ranging from the replacement of worn store carpeting to the provision of staff bonuses to the sharing of recorded events with authors online to the purchase of a bookmobile. The 55 stores are located in 55 different cities and towns, each with its own local media sources. 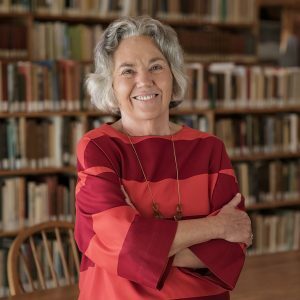 When storeowners tell the story of their particular business with its unique qualities and activities, pointing to Patterson’s generosity that enabled them to better serve their local customers, they are drawing public attention to the many contributions of community bookstores. A simple application process respectful of storeowners and their good judgment. The only requirement is a short letter outlining the proposed project and its cost. Storeowners are not subjected to overly stringent requirements but instead are trusted to best understand and describe what is most needed for their own operations. Many winners. Instead of competition, the grant process builds fellowship and a sense of shared mission within the independent bookstore community. Grants that go directly to for-profit bookstores. Turning traditional rules of philanthropy inside out, grant checks are written to the individual bookstores instead of to a non-profit advocate of bookstores. No tax credit is earned by the donor, but ‘community credit’ is. If we are to transition to an economic system that is both equitable and sustainable, one that reflects unique regional cultures, cares for the well-being of its workers, and fosters stewardship of the fragile ecosystem, we will need an economic system that values independent businesses with deep roots in their local communities. The result would be an economy that encourages more labor-intensive, small-batch production transported over short distances, creating more jobs but not more ‘stuff,’ with a smaller carbon footprint than that of a global economy with centralized production systems. To achieve this economic transition, we will also need a cultural transition. Conventional economic thinking pits consumers and producers against each other, with consumers vying for the cheapest price and producers committed to exacting the highest price. This thinking predominates when consumers and producers are strangers but is not intuitive in a place-based economy where residents and store owners work side-by-side on the school committee, where production methods can be visible through the integration of manufacturing into Main Street, and where the health of the forest is as much an interest of the furniture maker as the weekend hiker. In a place-based economy, there is a natural common association of interest between citizens and producers. This kind of mutuality is most apparent in the local food movement, led by the growing number of Community-Supported Agriculture (CSA) farms, a model first pioneered by the Schumacher Center for a New Economics in the Berkshire region of Massachusetts. In a CSA, local residents become members by paying in advance for a share of a farm’s yearly operating budget. In exchange, the members of the CSA receive a weekly distribution of the produce from the farm. In a year when the weather is perfect for basil production, bunches of basil fill every distribution box. But if it is a bad year for tomatoes, the boxes are empty of tomatoes. Members share the risk with the farmer and in the process become educated about regional growing conditions. Since the establishment of the first CSA at Robyn Van En’s Indian Line Farm in South Egremont, Massachusetts in the 1980s, the concept has grown to a worldwide movement involving thousands of farms. CSA members understand that locally grown, high quality, fresh and seasonal food is best supported by the partnership of citizens and farmers. This support guarantees a fair price for farmers’ labor and mitigates the risks of changing weather conditions, plant disease and equipment failure. As engaged risk-takers, the shareholders make up an informal marketing team for the farm and farmers, reducing marketing costs and serving as community advocates for farm-friendly policies. What would it mean to develop a similar understanding for other forms of local production? Could concerned citizens model an ethos that would support a local furniture factory, a cannery, a humane slaughterhouse, a water-powered electric generation plant or the type of small business proposed by a neighbor? Could we build ‘import replacement’ businesses that provide well-paid jobs for our youth and keep the local economy vibrant with a diversity of production, skills and people while maintaining a commitment to a healthy ecology? Transitioning to an economic system that is both equitable and sustainable will require many willing hands. Citizens can no longer stand on the sidelines waiting for the business community to take the lead. Our communities are at stake, our eco-systems are at stake, our very humanity is at stake in how we move forward. James Patterson’s bold example of grants directed to small independent businesses provides one of many potential strategies for building a community-supported economy. More are needed. Building a responsible movement for a new economy will require planning how to create new jobs without increased growth. One approach is a strategy of import replacement. Currently, the majority of goods purchased in the US are imported from distant countries and shipped across oceans to reach us. The goal of an import substitution strategy is to strengthen regional economies by replacing some of those imports with goods produced by local businesses that provide living wages and employ sustainable manufacturing processes. This may be an ambitious objective, but it is necessary if we are to transition to an economic system that is both equitable and sustainable. What products might be produced in a region that are not there yet? How can citizens help create conditions to ensure the success of new enterprises? What skills can be offered to help in the process? These skills may include development or review of business plans, market research, site selection, equipment identification, mentoring, financing, permitting and skill development. How can engaged citizens leverage the wealth of community resources to support the budding entrepreneurs who will run the new appropriately scaled and environmentally sound businesses that are the foundation stones of a new economy? We use the term ‘Community-Supported Industry’ to describe this strategy. However, it will not be enough to only imagine the new green, fair, sustainable, slow, resilient businesses; not enough to build a library of good business plans; not enough to whet the appetite for regionally made goods and locally grown food. Implementing the new industries identified and fostered under the umbrella of Community-Supported Industry will take securing affordable access to land, identifying (or training) skilled workers, and accessing appropriate capital. It will mean maintaining an ongoing national dialogue about imaginative land tenure options, distributed ownership and the democratized issuing of currency. It will take multiple villages and villagers working together to grow a new economy. Bosman, Julie. “James Patterson Giving Cash to Bookstores.” The New York Times. 19 Feb. 2014. Building a New Economy: What’s Love Got to Do With It?